Like a fine wine, the quality of life in Oliver keeps getting better with time. Beth Garrish believes there is no more spectacular place to live than here in the Okanagan. She grew up in Oliver and still gets awed by the beautiful scenery on a daily basis. But it’s not just the scenery that Beth loves about the area. When you grow up in the Wine Capital of Canada, it’s only natural that one develops an appreciation for wine. 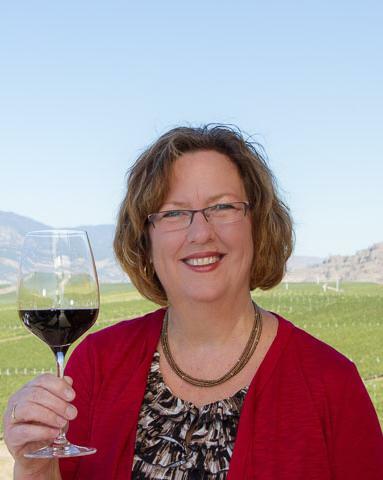 Beth witnessed firsthand the evolution of the local wine industry, and as a result, she feels a strong connection to not only the wine industry itself, but also the wine country region and the lifestyle it provides local residents. A self-professed oenophile, Beth understands the craftsmanship and patience that goes into winemaking. She knows the myriad details that must work in perfect harmony with one another in order to create a great vintage that a vintner is proud to put his or her label on. In many ways, she views wine as a metaphor for life – details are essential and the more care, effort and attention you devote, the better the results. Perhaps the best example of this approach can be seen through Beth’s strong ties to the community. She’s a Past President of the Chamber of Commerce, she spearheaded the Oliver Tourism Association and has served as its chairperson, and she’s volunteered in the Rotary Club and the Parks & Recreation Commission. She also contributed to efforts to create an endowment fund for scholarships at Southern Okanagan Secondary School. More than anything, Beth’s efforts are fueled by her genuine love for the people of this area, and that’s exactly why she takes such pride in helping them achieve their real estate goals. As a leading Okanagan Valley real estate professional, Beth excels at listening carefully to her clients’ goals and then pairing them with a property that fits their needs as well as their desired lifestyle. Practicing real estate since 1988, aside from a 5 year hiatus, Beth possesses a well rounded industry experience and market insight. Like a good winemaker, she’s very detail oriented and patient enough to take the time to ensure her clients are making the best decisions when buying or selling a home. She is passionate about offering a caliber of service she is proud to put her name on. For Beth, it’s all about creating an experience for her clients and delivering the lifestyle of their dreams. For many area homeowners, 1988 was a very good year. That’s the year Beth brought her unique approach to real estate to local residents. If you’re considering a move to, from or within the wine country region of the Okanagan Valley, look no further than Beth Garrish for all your real estate needs. With a track record of success dating back more than 25 years and an obvious commitment to helping her neighbours make the most of their real estate opportunities, there’s no better choice to handle your home sale or purchase. Call her today to schedule a private consultation.